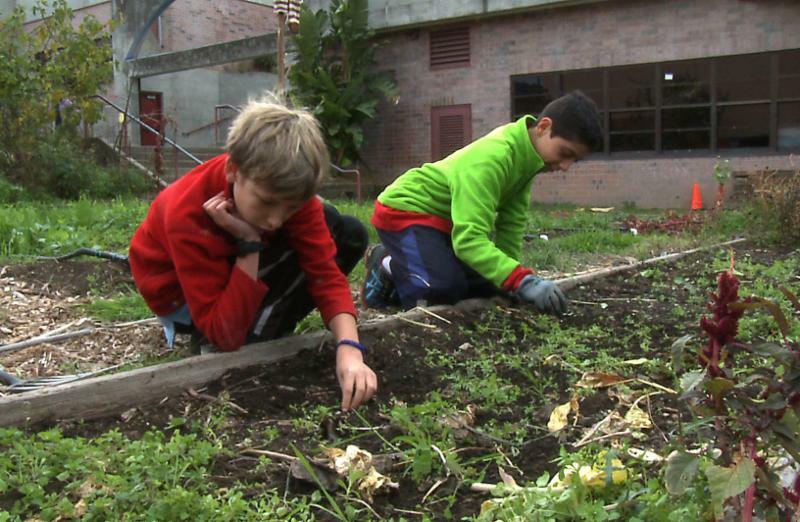 Willard Middle School, a SWIFT Knowledge Development Site in Berkeley, California, collaborates with the community through their gardening program, led by community volunteers from AmeriCorps. 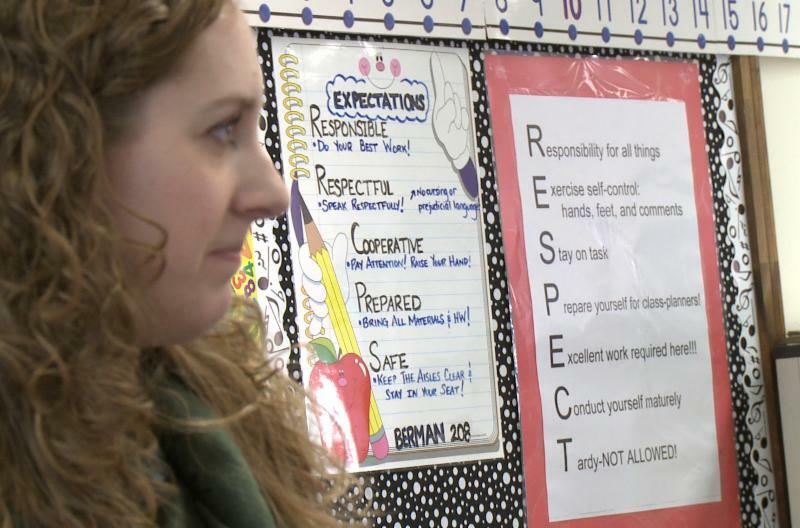 School leaders founded Willard's garden in 1995 and its relationship with AmeriCorps is the longest relationship that any program has had in the area. Through the program, over 30 young people have trained to work with kids and in sustainable food, and many of them are still in the field. All food grown comes back to the students, whether incorporated into a cooking class, served as a snack, or as part of lunch in the lunchroom. "You see students trying things that they probably wouldn't have been trying before and a lot of times you get students who maybe aren't doing as well in the classroom and come down into the garden," a first-year AmeriCorps volunteer said. "And it's working with your hands and it's something that fosters behavior and confidence and independence that can be taken back into the academic classroom." Trusting Community Partnerships contribute to positive student outcomes when schools work collaboratively with community members, agencies, organizations, businesses, and industry around common goals. Community representatives directly participate in school leadership, and schools enhance community resources. 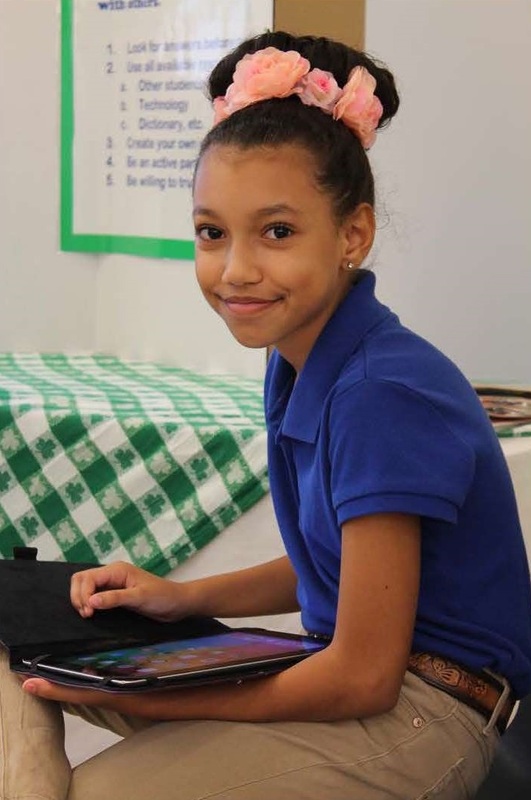 "I realized long ago that student outcomes depend a lot on feeling valued and supported as learners," says Lacy Redd, former principal of Newberry Elementary School in Florida. "As principal, it has always been very important to me that our school feel welcoming to families and community members. This starts from the moment people walk into our building and continues with the presence of our teachers and students in the community. 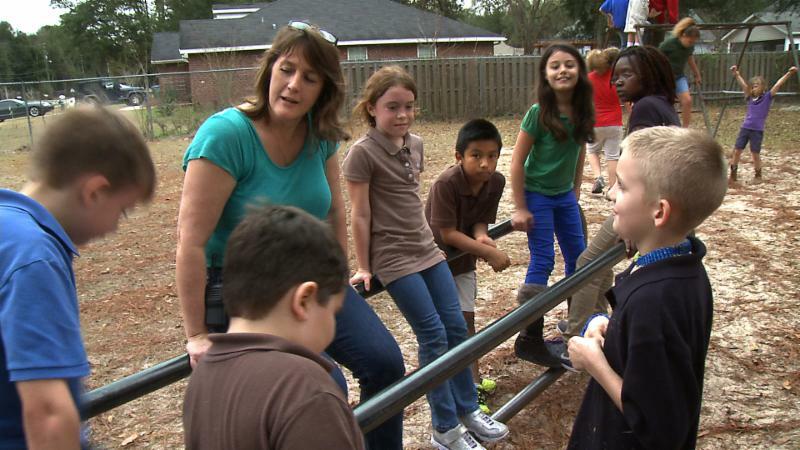 At Newberry Elementary, every child is included and every child is learning and succeeding." Principal Redd shares her top 10 strategies in place at Newberry that made their school a welcoming community for everyone. "The first thing we had to do was build relationships and rebuild those bridges because the community, the parents and the students had to trust the school system in order for us to make any gains and SWIFT played a major role in us regaining that trust." Dr. Grace Francis of Mason University and Dr. Shana Haines of the University of Vermont recently hosted the SWIFT webinar " From Seemingly Impossible to Exceptional: How to Partner with 'Hard to Reach' Families." In this webinar, they share information about strategies grounded in research to help create professional family partnerships...even those that are hard to connect with at first. Click here to watch the presentation by Drs. Francis and Haines. SWIFT Unscripted is our monthly podcast, and makes for a great listen while waiting in the school pickup line, during a morning walk, or while running errands! SWIFT Unscripted welcomes guests from our SWIFT community including this recording by Dr. Mary Morningstar on suggestions and resources for supporting students with disabilities to achieve their post-school goals. She is an associate professor at the University of Kansas, as well as the Director of the Transition Coalition. 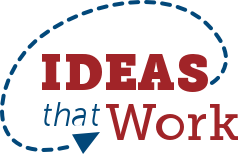 In this podcast , Dr. Morningstar discusses the strong evidence that students who are included and have access to general education curriculum context are more likely to have more positive post-school outcomes. These outcomes include the post-secondary educational experience, integrated employment, living situations, positive friendships, and involvement in their communities. You can listen to Dr. Morningstar's podcast on Soundcloud or iTunes , or visit the SWIFT Unscripted page to download the podcast to your computer. A transcript link for each SWIFT Unscripted podcast is available at the end of its description. SWIFT Center has the latest and most relevant resources on equity-based inclusive education. Please share these with your family and community networks to promote improved social, educational, and behavioral outcomes for ALL students! If this SWIFT Family & Community Newsletter was shared with you, don’t miss the next one — sign up here to be added to our mailing list. The SWIFT Center produced this document under U.S. Department of Education, Office of Special Education Programs Grant No. H326Y120005. OSEP Project Officers Grace Zamora Durán and Tina Diamond served as the project officers. The views expressed herein do not necessarily represent the positions or policies of the Department of Education. No official endorsement by the U.S. Department of Education of any product, commodity, service or enterprise mentioned in this publication is intended or should be inferred. This product is public domain. Authorization to reproduce it in whole or in part is granted. While permission to reprint this publication is not necessary, the citation should be: SWIFT Center. (2017). SWIFT Family & Community, Issue 5, July 2017. Lawrence, KS: SWIFT Center.